Called 'premises liability' or 'slip and fall' accidents, personal accidents can occur practically anywhere - from the local supermarket to the Marie Selby Botanical Gardens. What they all have in common, however, is the chance to seriously impact your life. Your physical and mental recovery are only the beginning - you'll also have a major financial burden following an accident. With our Sarasota slip and fall attorney on your side, you'll be able to get the kind of financial compensation that you need to move on with your life after an accident. The lawyers of Shapiro Goldman Babboni Fernandez & Walsh have the firm belief that for the injured, getting justice pays. Call Today. Determining your rights is one of the first steps to getting what you're owed. Under Florida law, you have to show that two factors existed in relation to your accident. It must be shown that a property owner knew about or should have been aware of a dangerous condition on their property. It must also be shown that despite their knowledge, the property owner didn't repair the problem or place a warning to those on the premises about the dangers. Florida does have laws that require property owners keep their premises free from dangerous factors - especially those that can attract children and cause them harm such as pools, trampolines, or abandoned equipment or appliances. If any of these factors were involved in your accident, you may have the right to seek financial compensation through a premises liability case. What An Attorney Does Your Sarasota slip and fall attorney does far more than you might realize. Here's a look at just a few of the key things our experts will do during your case. 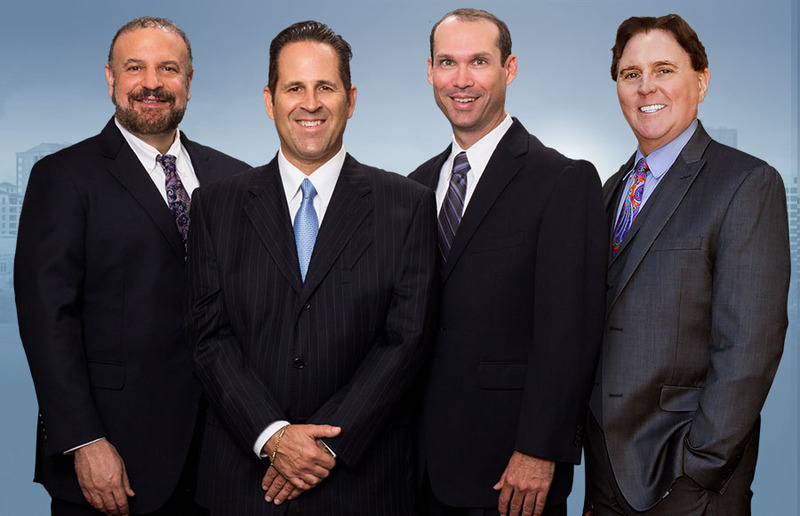 Our attorneys work with medical experts to show the extent of your injuries and how they can impact your finances. We also team up with other experts to prove that you are owed compensation. And throughout it all, you're able to focus on your recovery. Our team takes care of the hard work of arguing your case so you experience less stress and can heal physically without worrying about your financial future. We fight for you so you don't have to, and we make them pay. Standing Up For You One of the biggest challenges for those injured in an accident is that they just don’t have the resources, money, or experience that large corporations, rich property owners, and insurance companies will have on their side. Because of this, it's common for those injured in an accident to struggle to get any kind of compensation at all. Even worse, when they do finally get compensation, it's often far less than what is actually fair. Settlement amounts should cover all of your medical costs, lost wages due to time missed from work, and any future potential costs. The idea of a settlement is to help the victim get back to where they would have been if the accident had never occurred. This can often add huge amounts of stress to the injured party. With our legal team on your side, you don't have to worry. You'll have an expert is standing up for your rights and fighting the bullies on the other side. You deserve to heal - physically, mentally, and financially. Our team is here to help you do just that. Contact us today to get a case review and learn more about your rights and to let us start fighting for you.